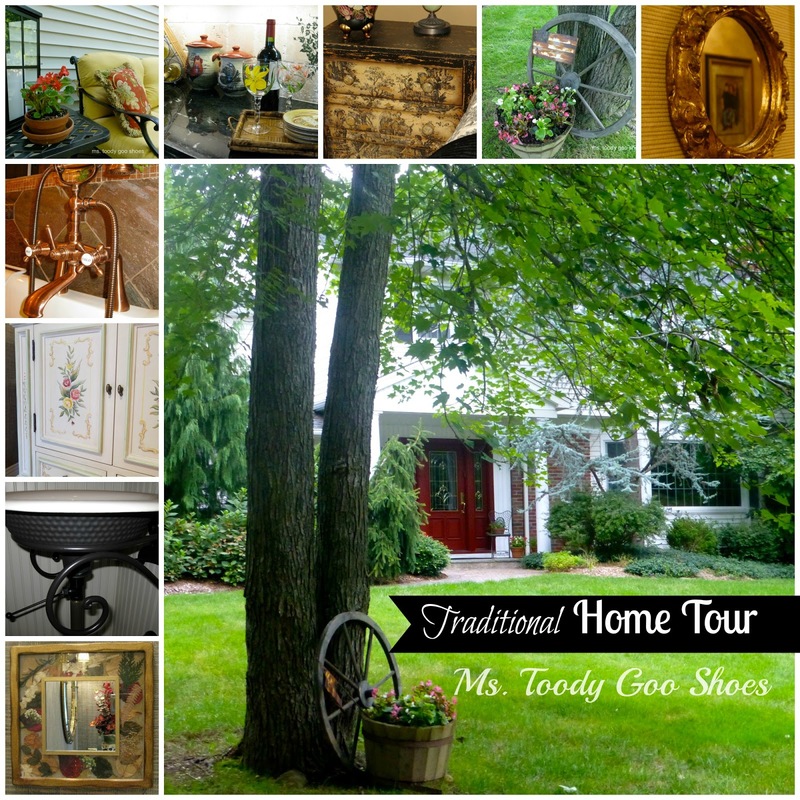 I am so excited that Debbie at Debbiedoo's invited me to share a tour of my traditional home over at her blog today (Friday, August 30)! 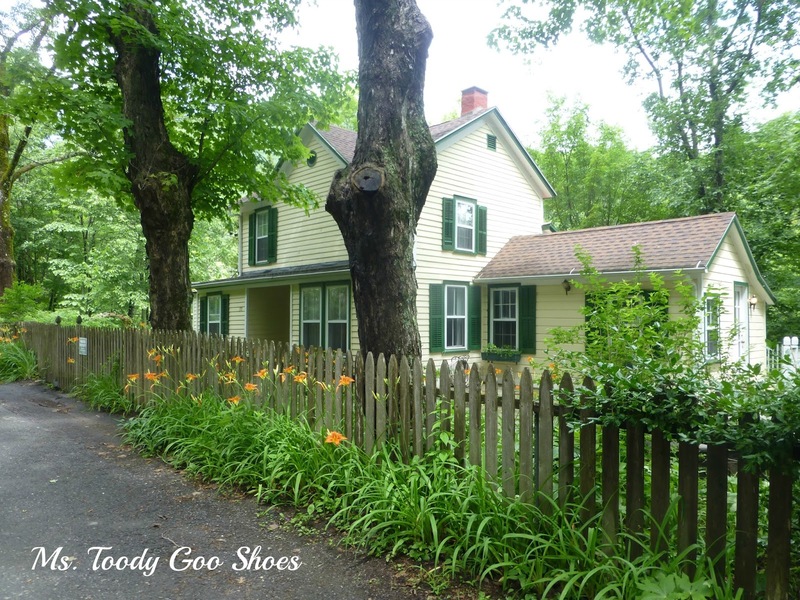 Please head on over to Debbiedoos Home Tours and check it out! 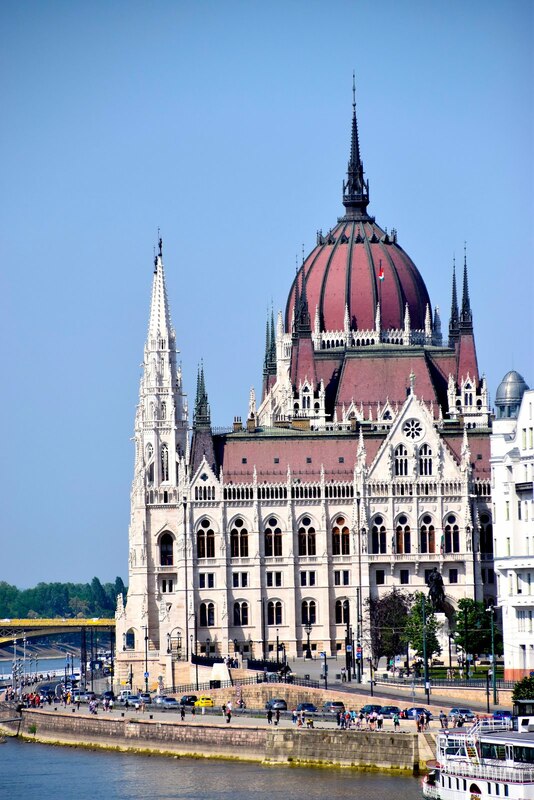 And while you're there, take a look around at some of her inspiring posts! What color is your thumb? Is it green? Mine isn't, yet whenever I have to fill out one of those forms that ask for a list of my hobbies, I'm tempted to put down "gardening." I'm interested in it, yes. I just don't have a knack for it. I am determined to change this. 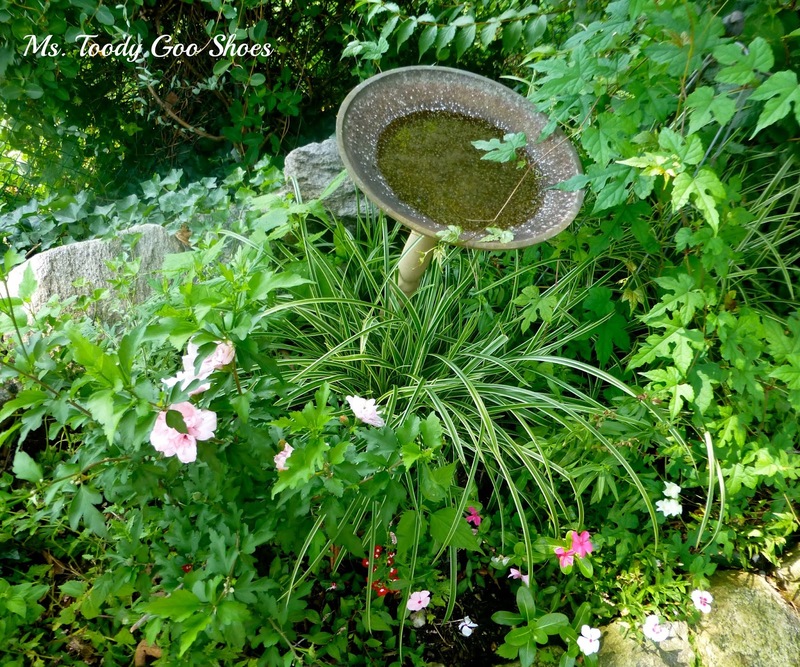 …which has inspired me to create a little secret garden of my own. 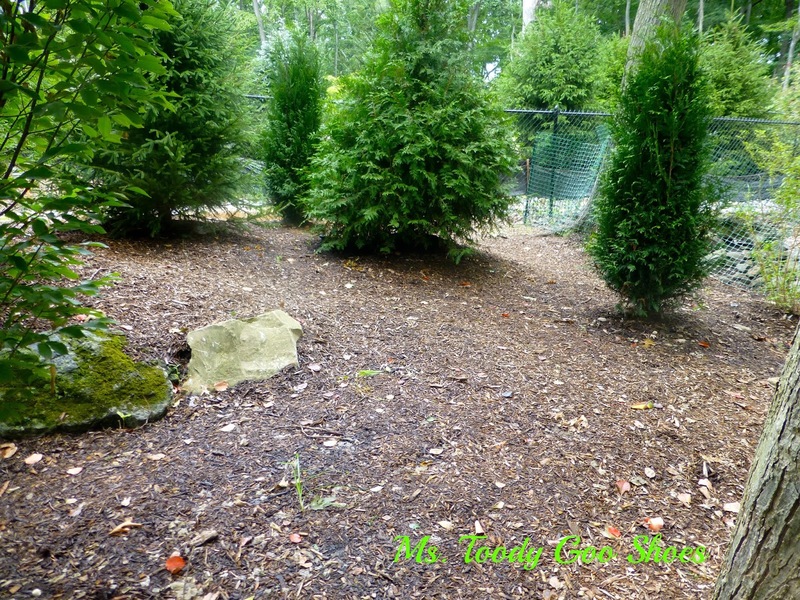 If you've been following me, you know that we did some landscaping in our backyard this summer. 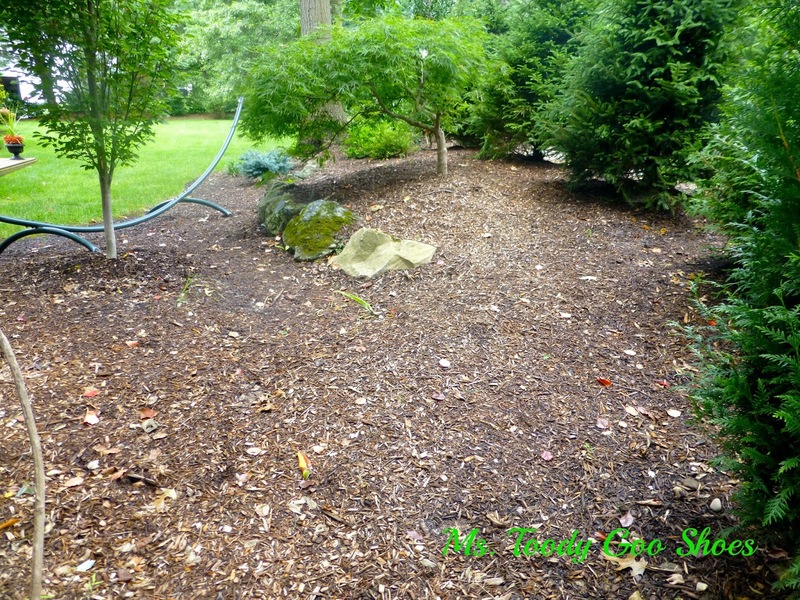 There is one spot that's kind of empty, and I'm going to make that my gardening project for next spring. It's right behind this hammock. Here are two shots of the space I'm talking about. 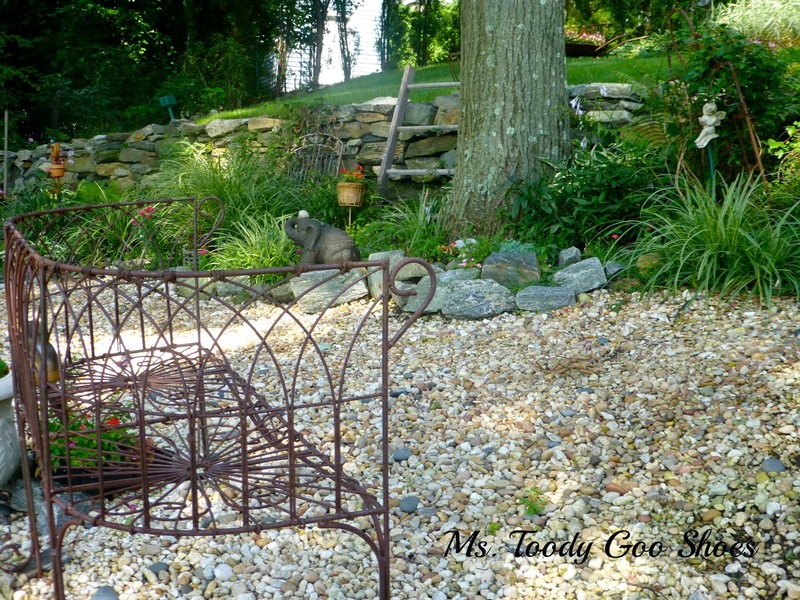 I'm envisioning it as a little garden nook. I'd like to have a chair or bench, some plants, rocks, and some interesting garden decor. 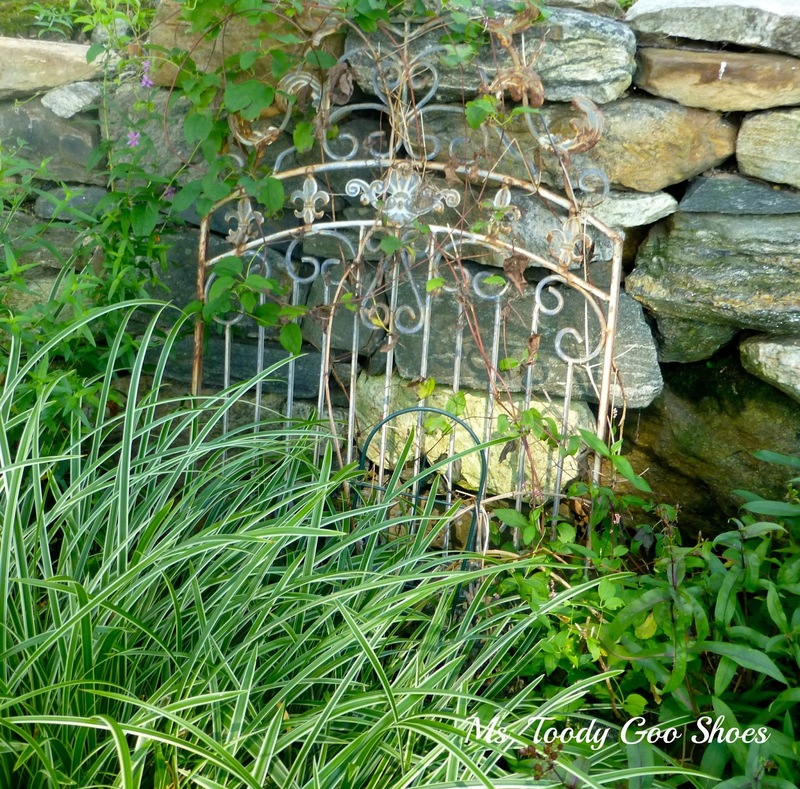 I'm going to be pinning away on my "Garden Nook Inspiration" board between now and next spring. My inspiration to transform this space comes from my friend, B. 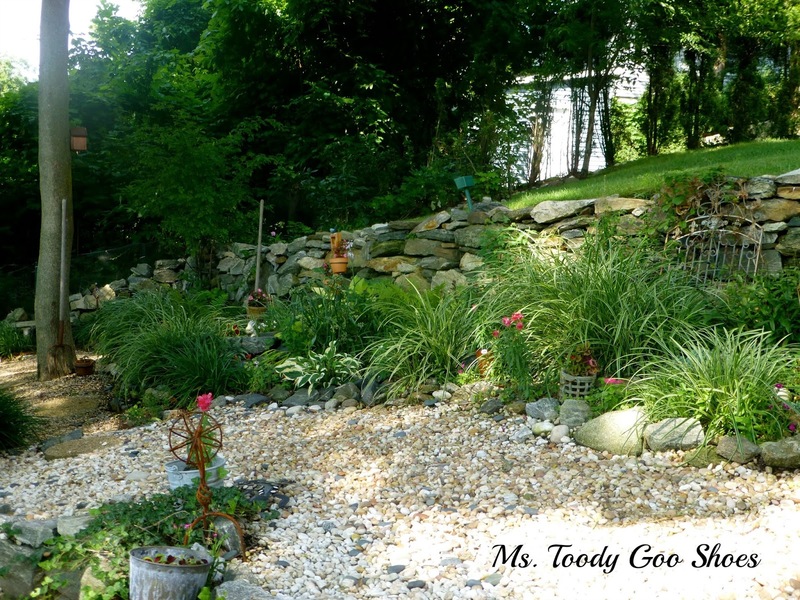 She has the most amazing "secret" garden in her backyard. Although, after today, I'm not so sure how much of a secret it will be. 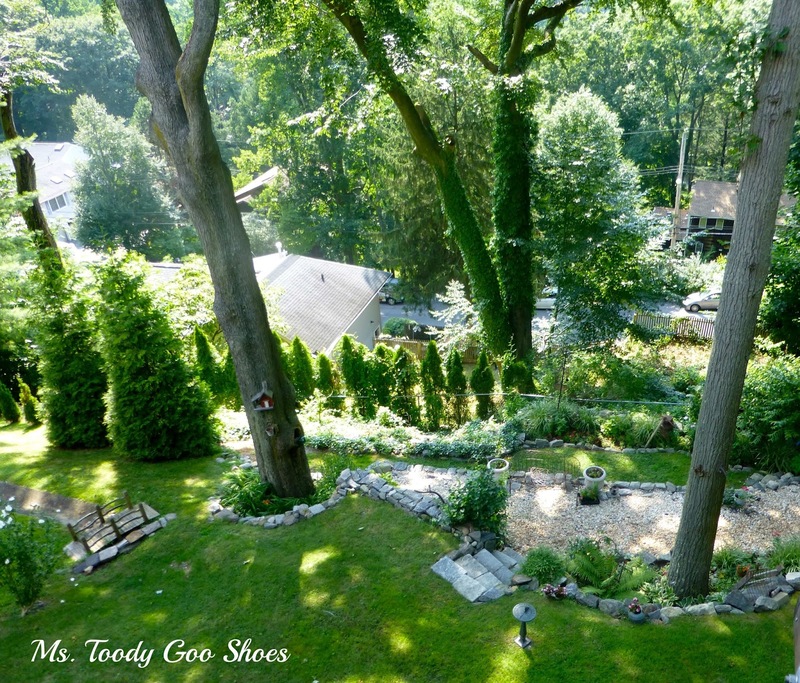 Over the past ten years, she and her husband have transformed the steep slope in their backyard in Westchester County, NY, into a terraced garden oasis. 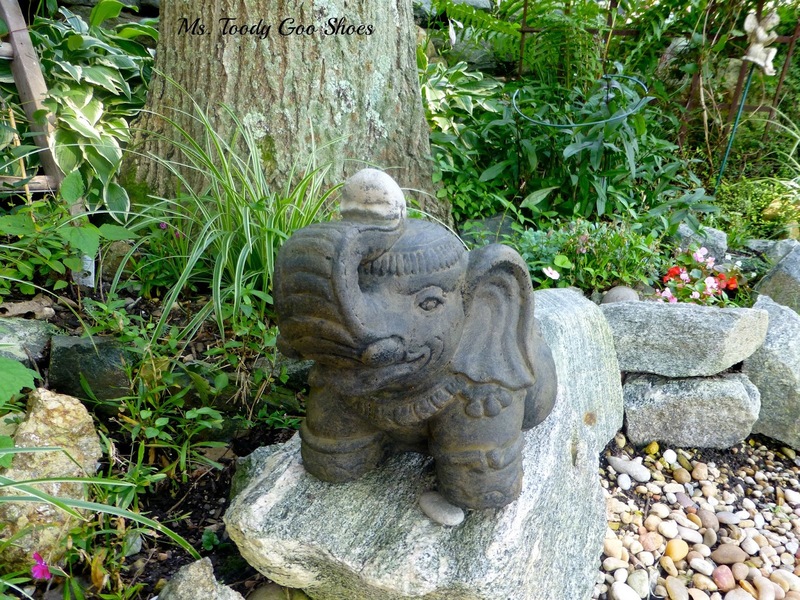 And it is constantly evolving, as she finds more garden art to add to her collection. 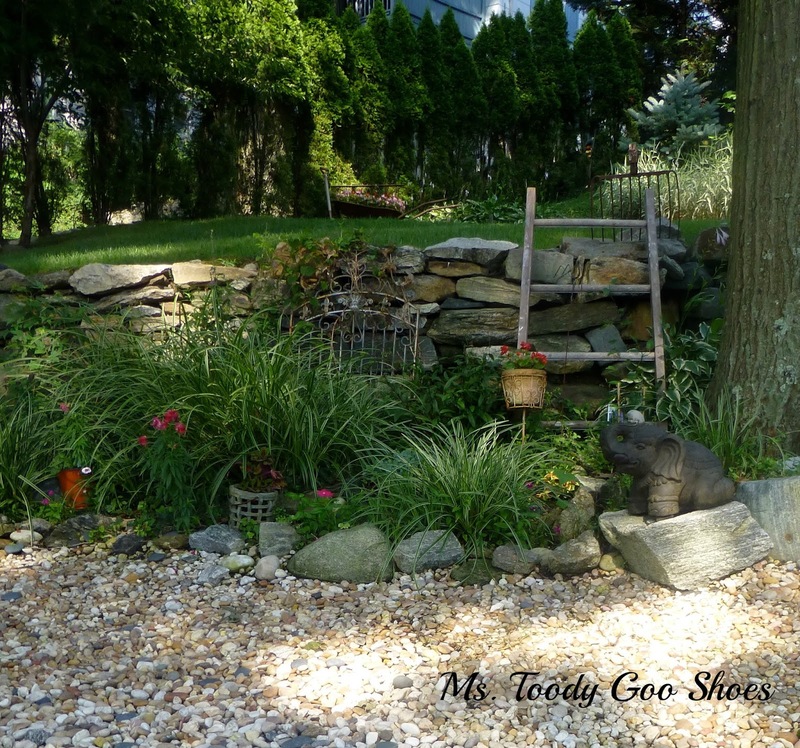 B. calls it her Secret Garden. 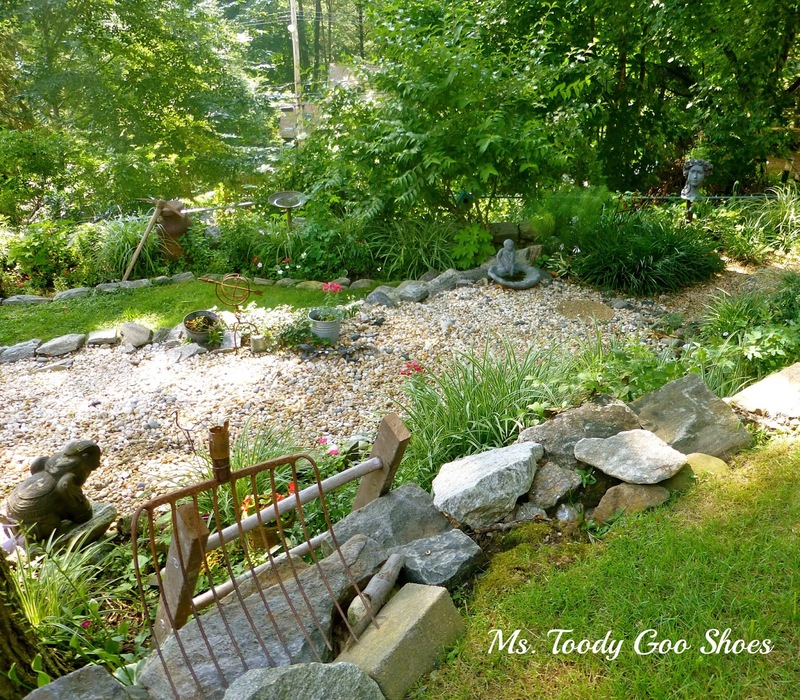 I call it a Garden Full of Treasures. 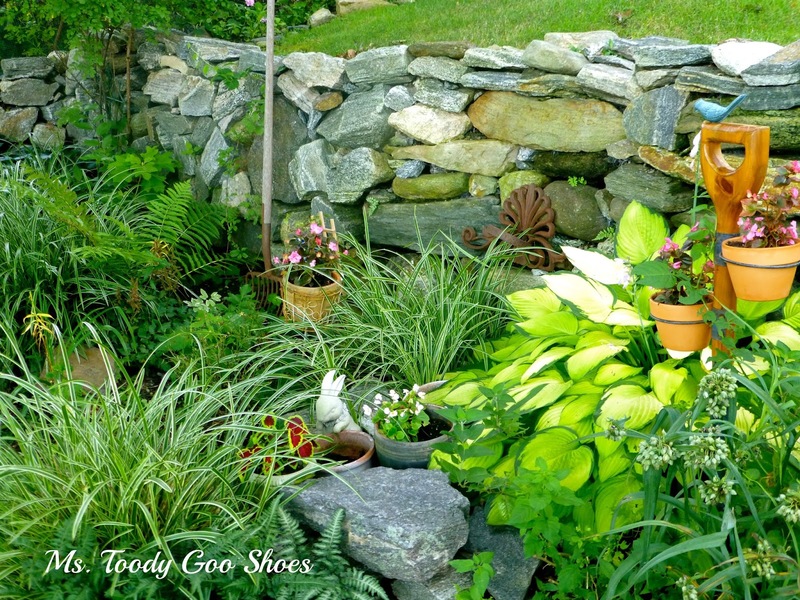 A Secret Garden Full of Treasures seems to cover it nicely. B. and I met through our husbands, who, along with two other guys, have been friends since they were kids back in Brooklyn. Our families get together several times a year to hear them laugh and reminisce about the same stuff over and over again. All of those Brooklyn accents in one room is entertainment enough, if you ask me. 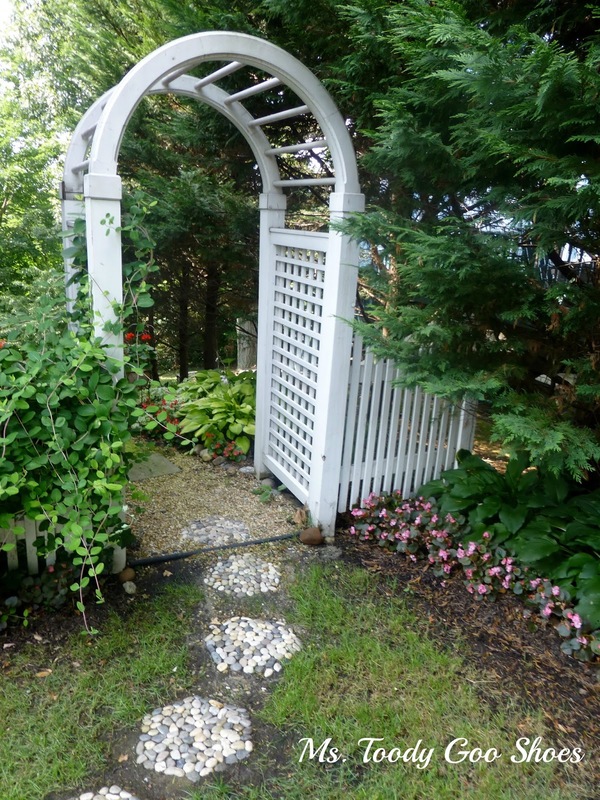 My friend B. has always been enamored by the book, A Secret Garden, and has this dream/hope/fantasy that someday, as she's wandering around, she will happen upon a rusty garden gate, that leads her down old, stone steps, and through an arbor. 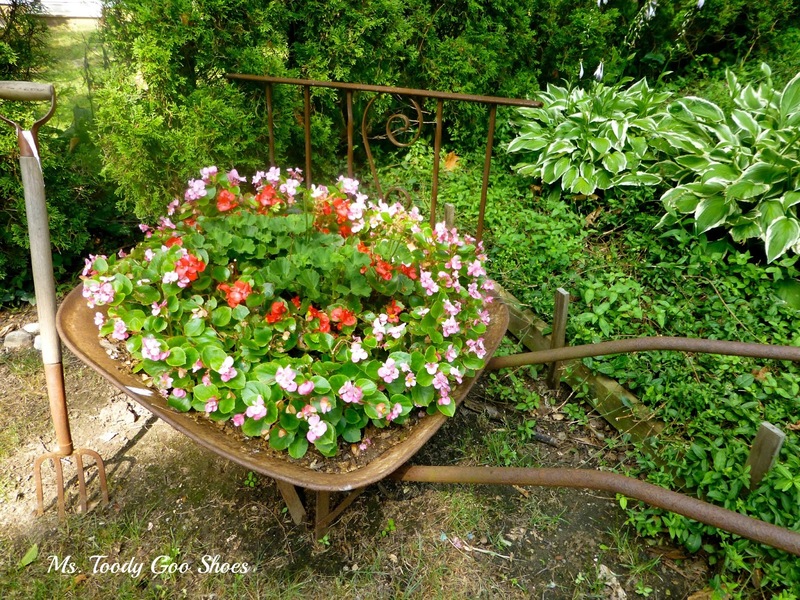 With every step she takes, hidden treasures will be revealed to her...an old bench, a garden tool, maybe an old gardening glove left behind, and of course, flowers overflowing…weaving them all together to tell the story of this special secret garden. 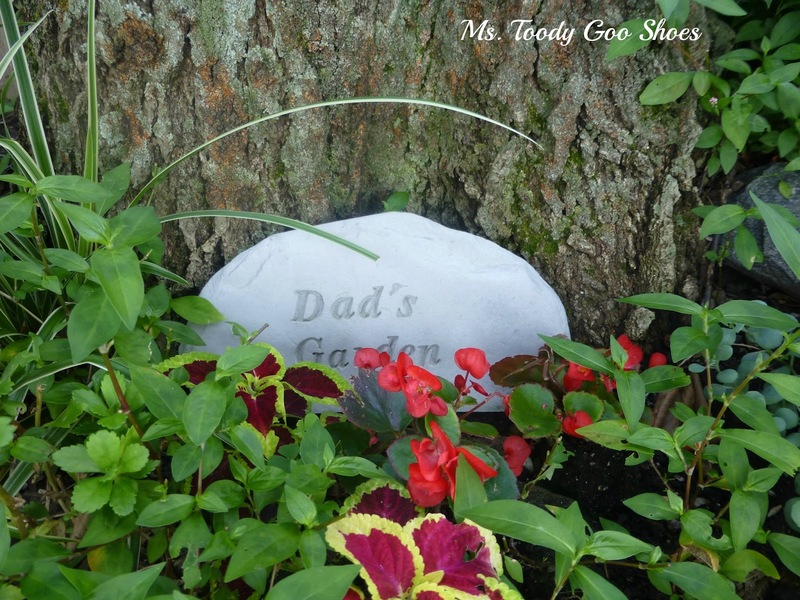 But until that happens, she has her own lovely garden to enjoy. Looking down from the upper deck of the house, this is what you see. 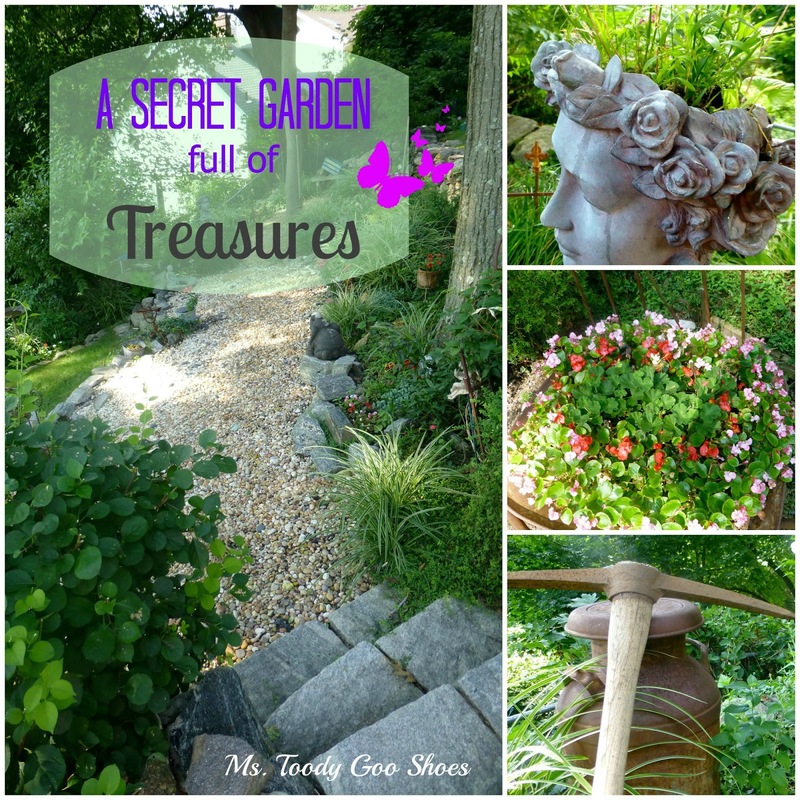 It's a "secret" garden because the treasures below are not revealed until you get up close and personal. In winter, when the trees are bare, I swear you can see clear across the Hudson River to my house in NJ. 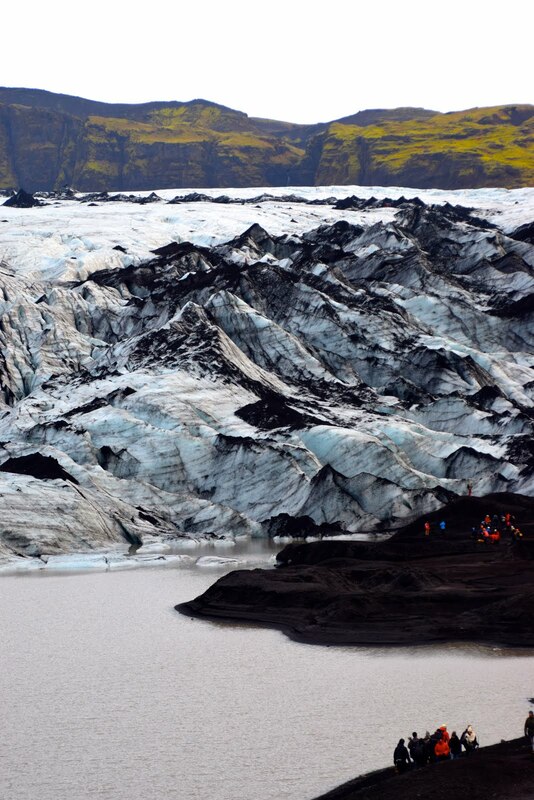 Well, not really, but the vistas from that high up are pretty spectacular all year round. 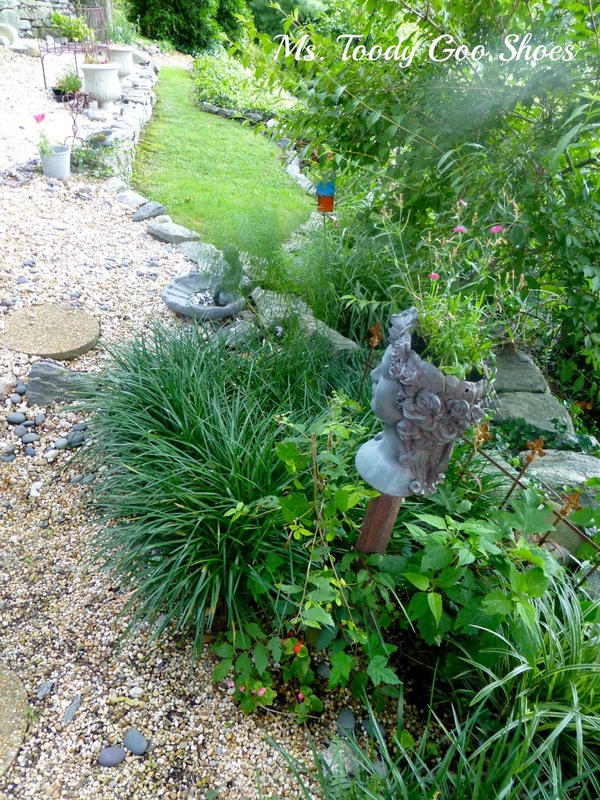 Unless you can fly, the best path down to the garden is around the side of the house, and through the arbor. 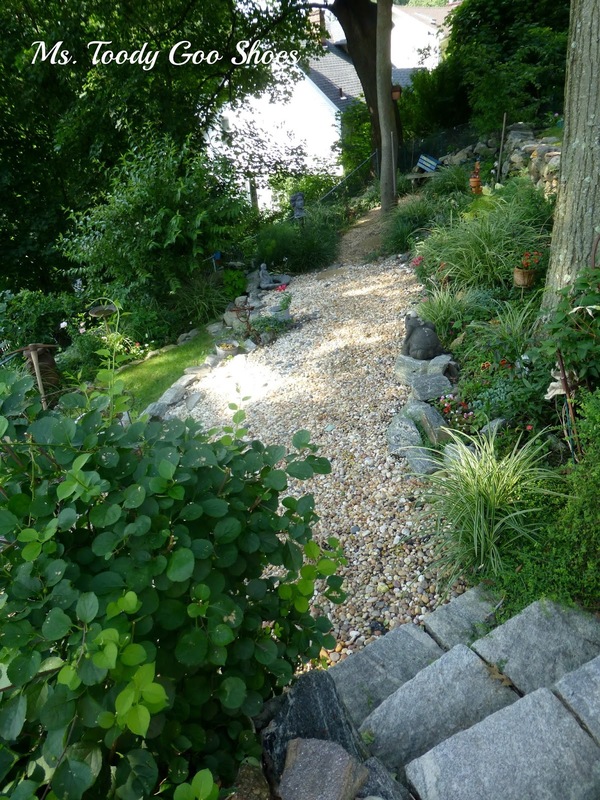 …and pass by the dry creek bed, which was necessary because this spot was prone to flooding. The soil kept washing away. 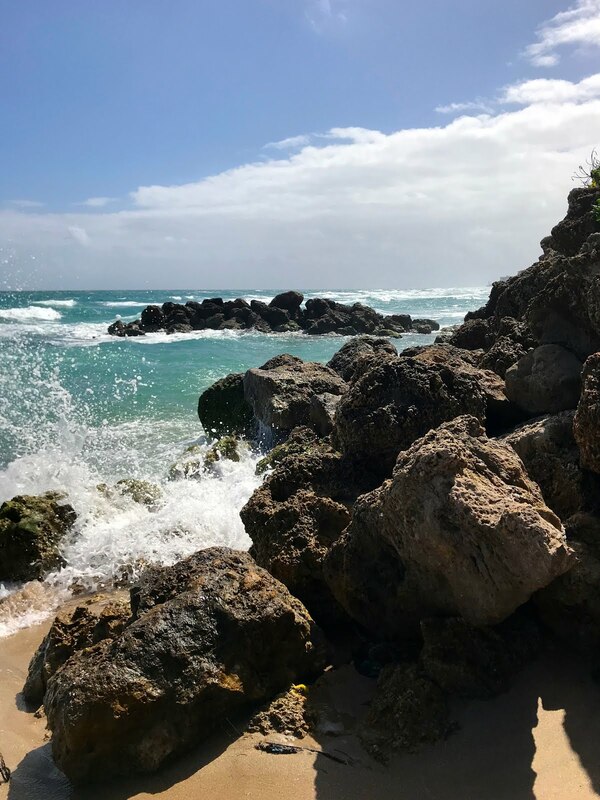 Now, B. says, after heavy rains, the water rushes down the rocks, like a mini waterfall. 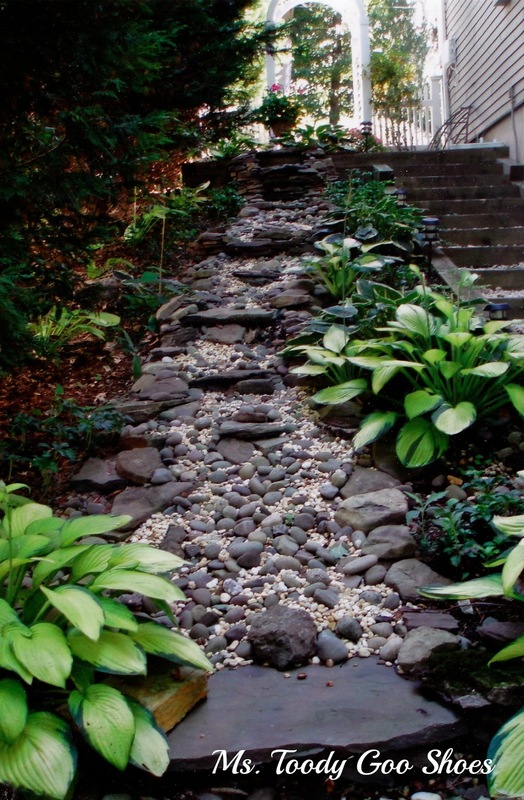 Can't you just imagine water flowing over those stones? Most of the things in B. 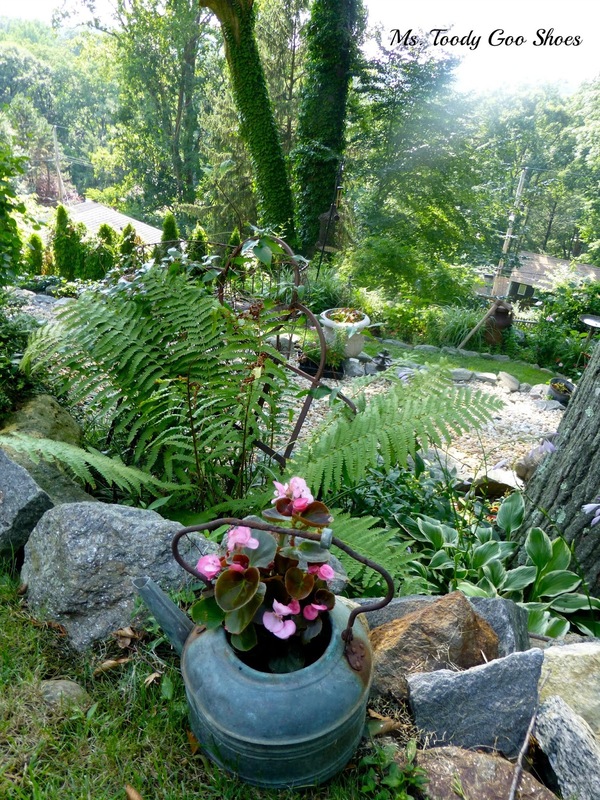 's garden were found at estate or barn sales, or by chance. 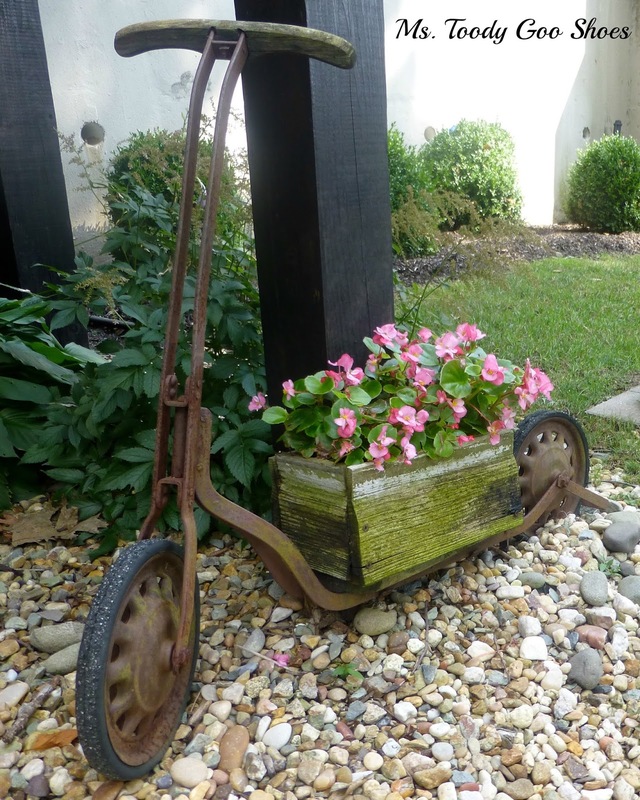 This pretty wheelbarrow waiting at the bottom of the steps, was from a house down the street, that had left it out for trash. 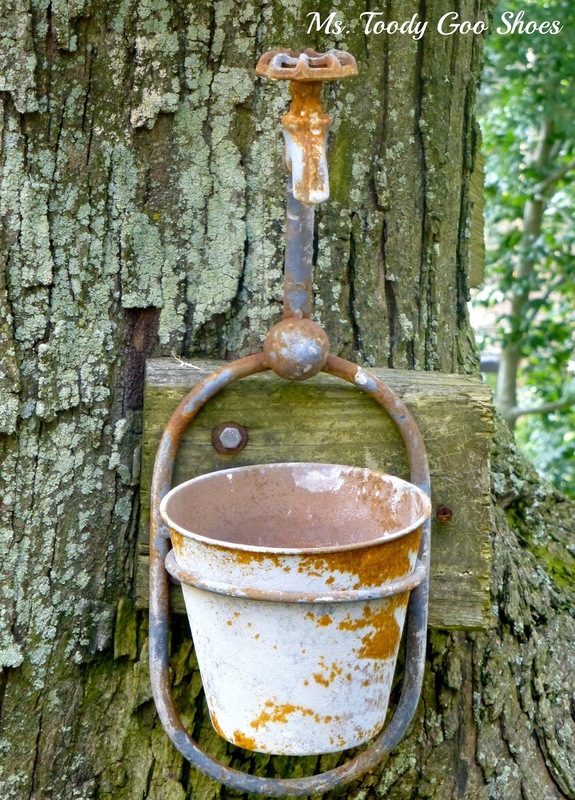 Notice the little garden gate behind it…and the pitchfork on the left, which came from an old horse farm. Walk too quickly, and you'll miss all the details. 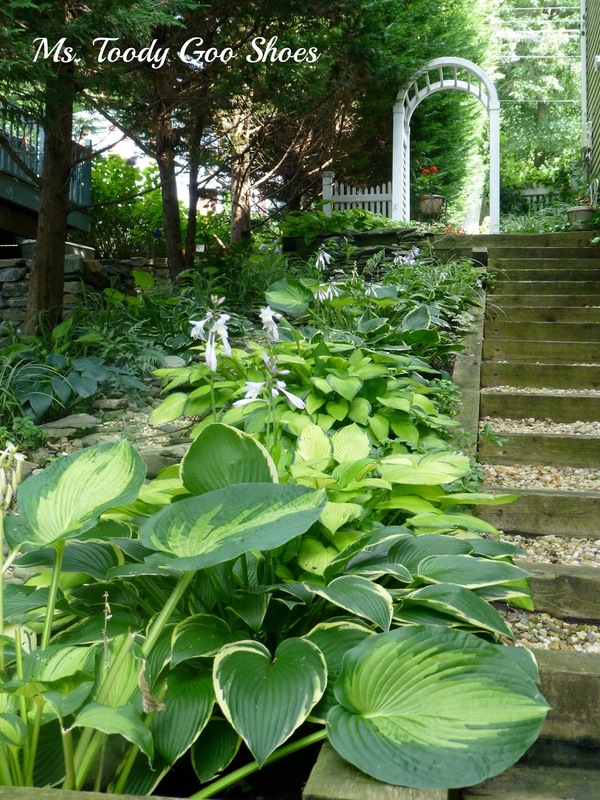 …which to me, is the reason why this garden is so enchanting. You can't possibly take in everything at first glance. 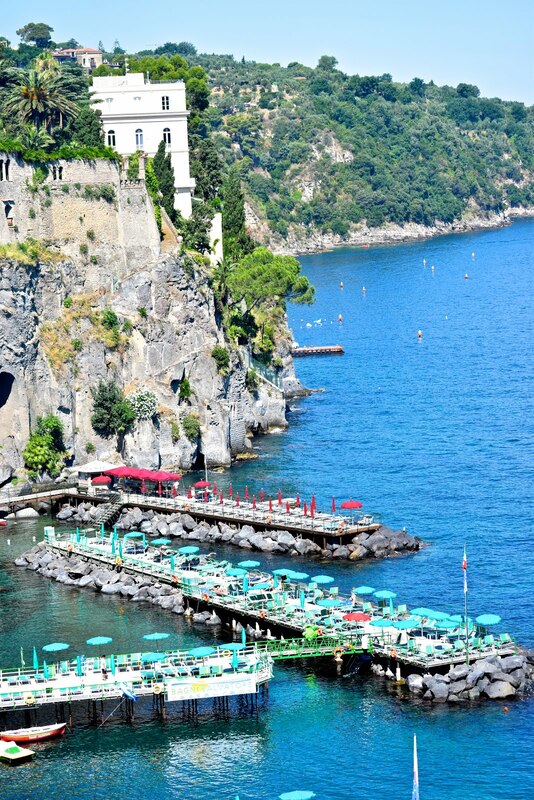 It begs you to visit again and again. B. 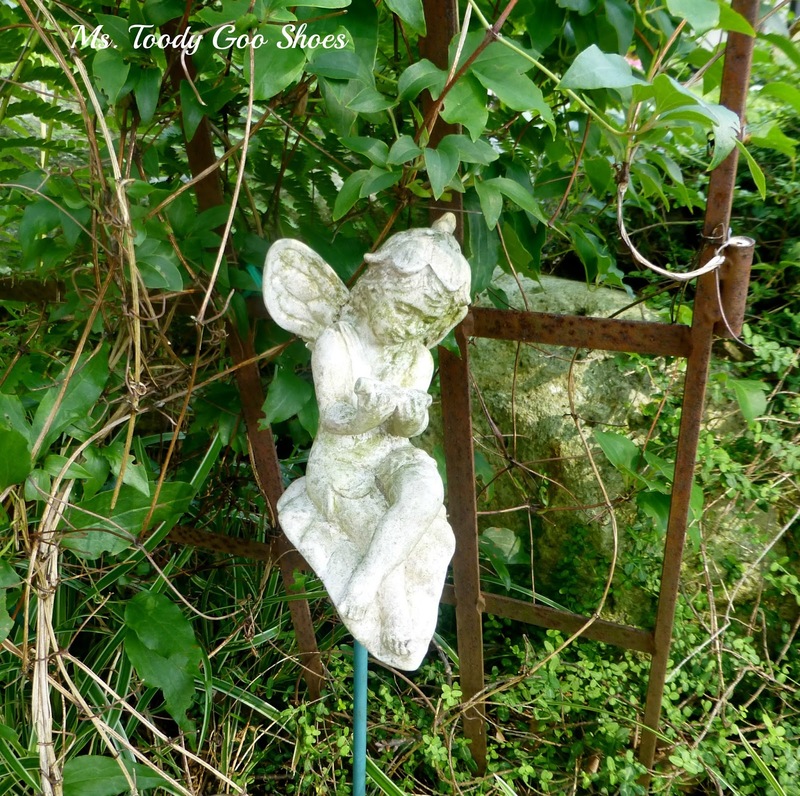 's first garden ornament purchase was this lovely lady, which she found in an old shop. She mounted her on a base from a birdfeeder, and put flowers in her hair. 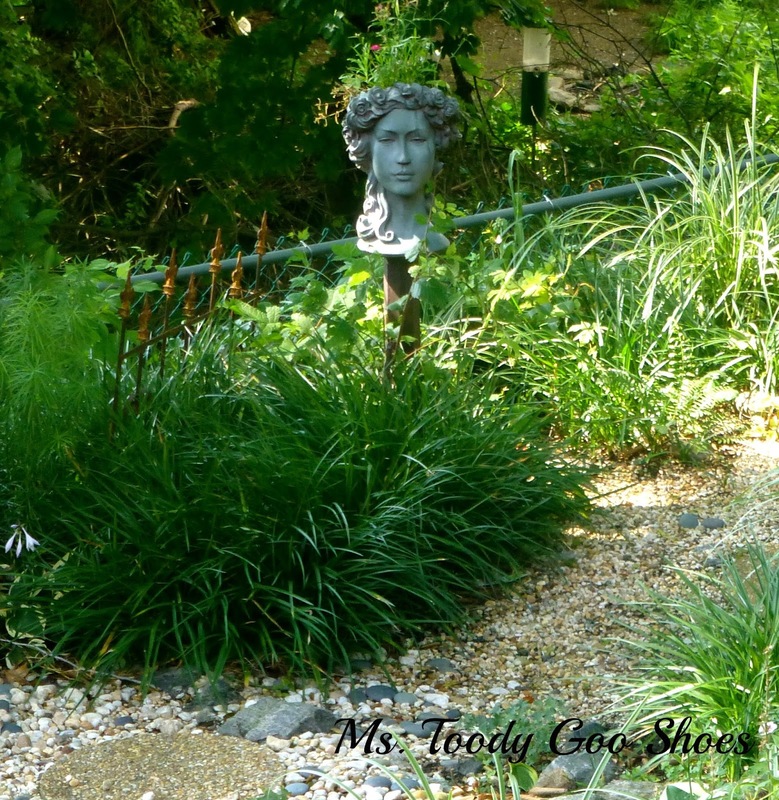 I love the Flower Girl…"
I like how she watches over everything in the garden. B. says most times, she is drawn to things that no one else wants. 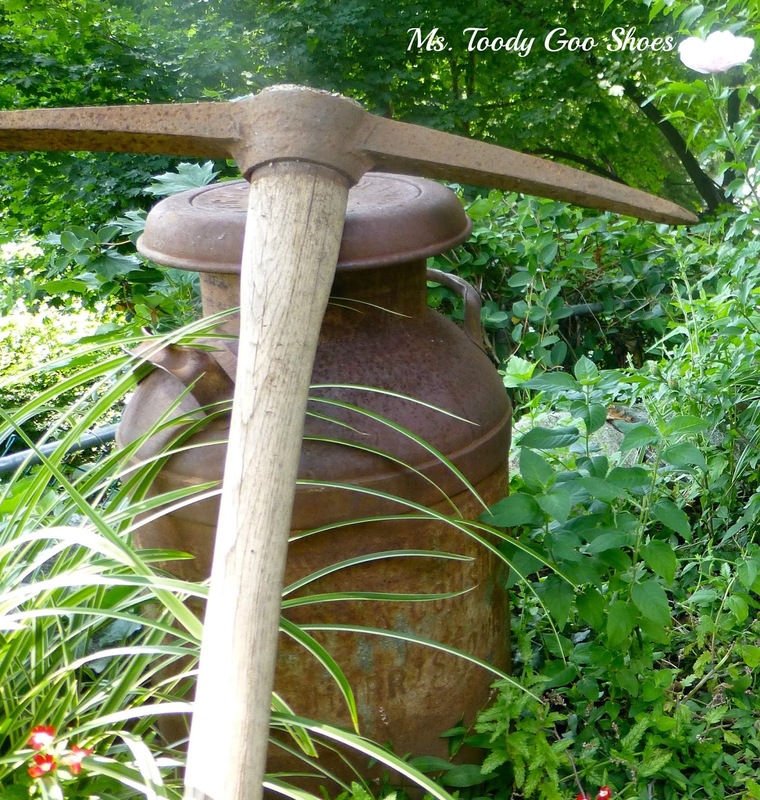 What looks like "junk" often makes for the best garden accents. Take, for instance, this kettle. 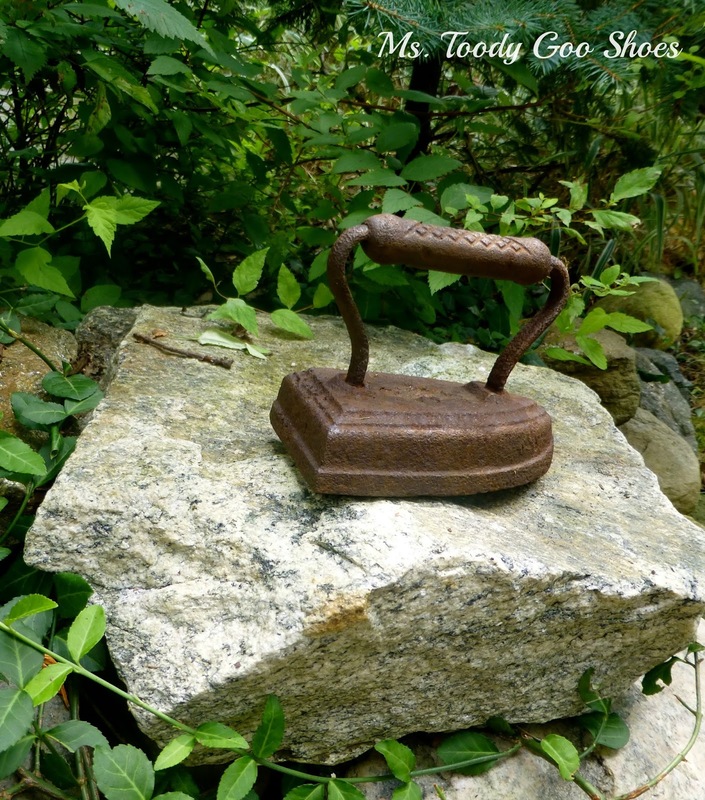 As she and her husband were leaving an estate sale at a crumbling old mansion on the Hudson River, she tripped over it in the driveway, near the garbage cans. It was filthy, but she was already envisioning it as a planter. This thing that looks like forceps? 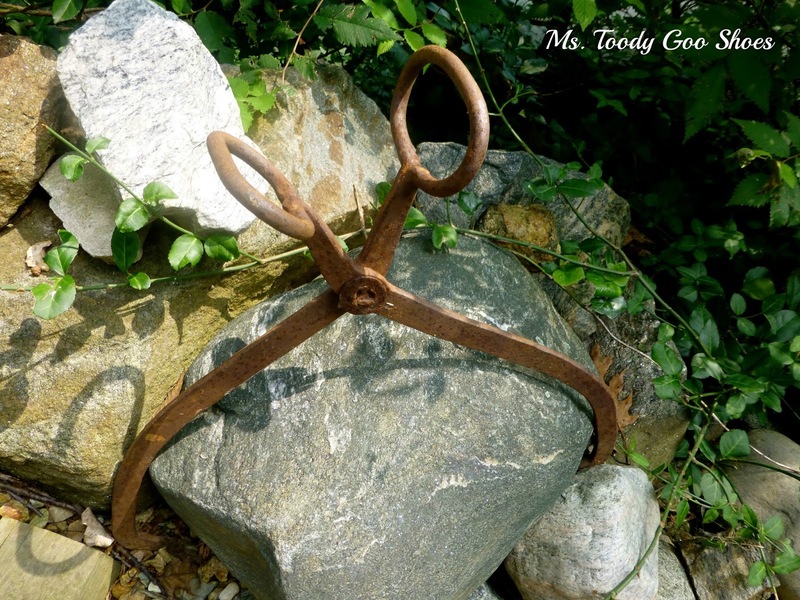 It's an antique tool that may have been used to grab blocks of ice from the ice truck, or to pick up bales of hay. Or maybe to extract a tooth from Gulliver…heh, heh. 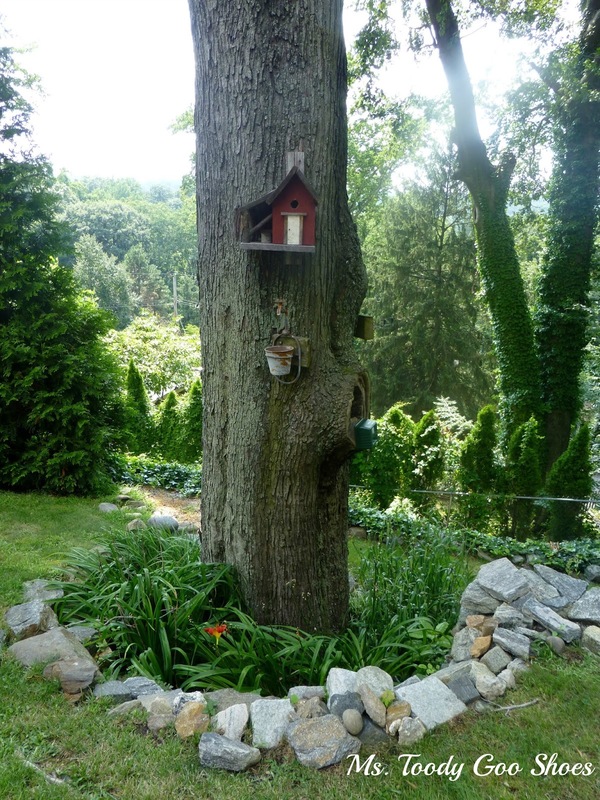 I'd like to find something like this for my little secret garden space. 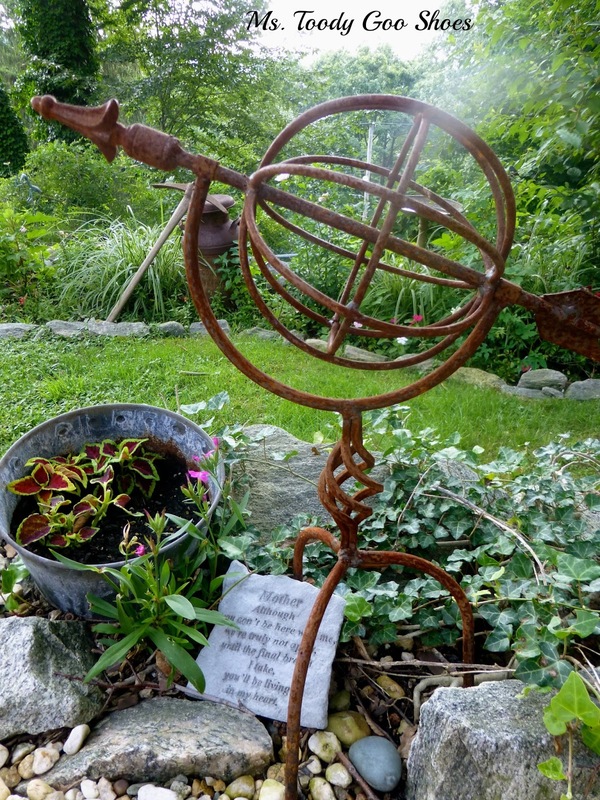 I think it's called an armillary sphere. The rustier it is, the more at home it looks. The scooter came from a farm sale, and B. 's brother made the flower box out of old barn wood. Would you ever have thought to turn a scooter into a planter? "Grow old along with me; The best is yet to be." What bird wouldn't want to live in this neighborhood? B. 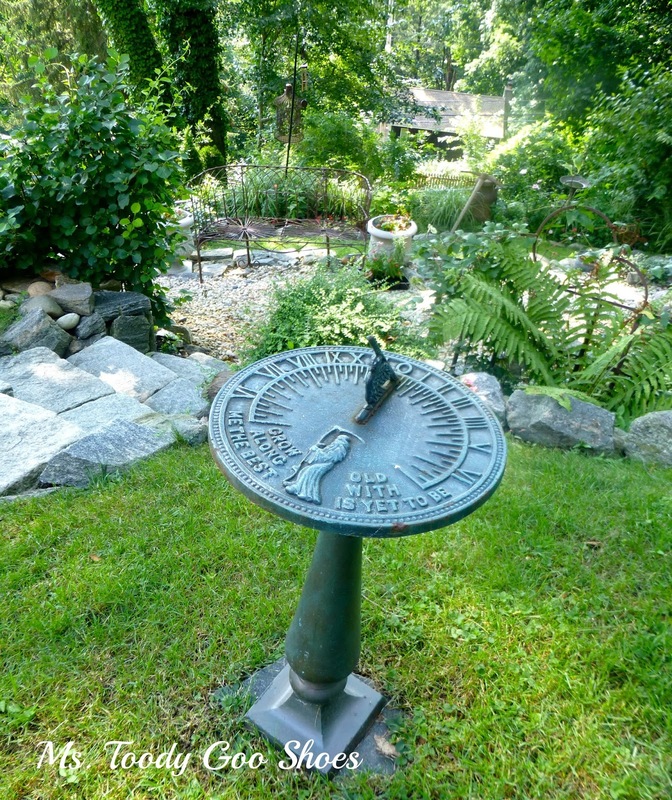 's goal was to make the garden look old…like it's been here for years and years. I really do think she succeeded, don't you? And until B. 's dream of stumbling upon some secret garden comes to pass, she can take pride in the fact that her own garden provides that kind of magical feeling to everyone who walks through her arbor. Where were you when the famed Woodstock concert took place in 1969? I'm guessing that a lot of you weren't even born yet. I was, and we'll just leave it at that. 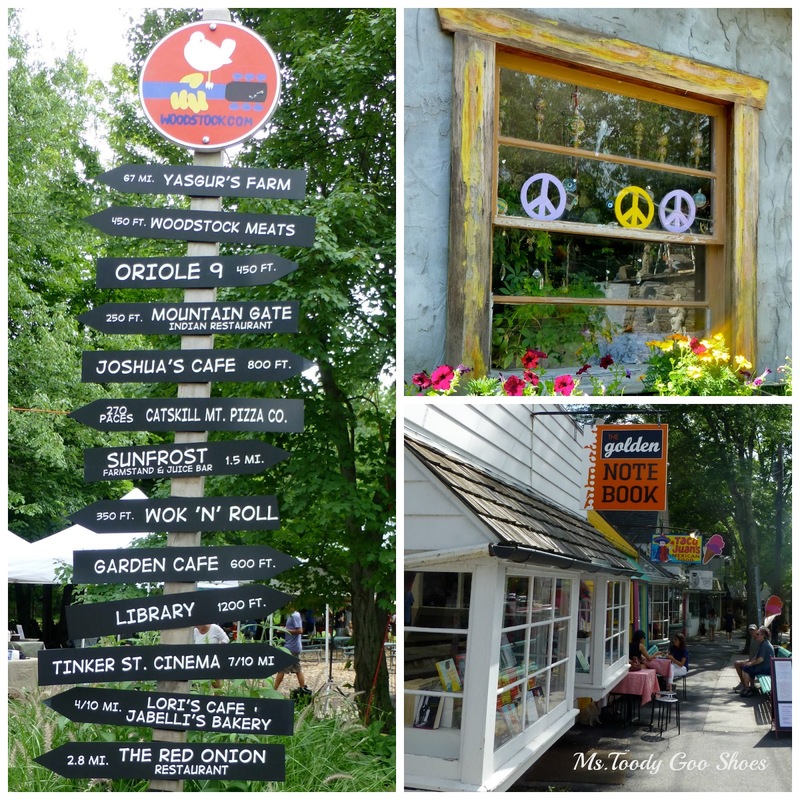 The concert ran from August 15-19, so I thought this would be an appropriate time to post some pictures of our vacation in the Woodstock area this past July. You may recall that we rented an amazing house with its own waterfall, in Palenville, NY, about 20 minutes outside of Woodstock. If you're of a certain age, or you're just Woodstock-savvy, you know that the actual concert was not held in Woodstock. It was held on a farm about 68 miles away in Bethel, NY. 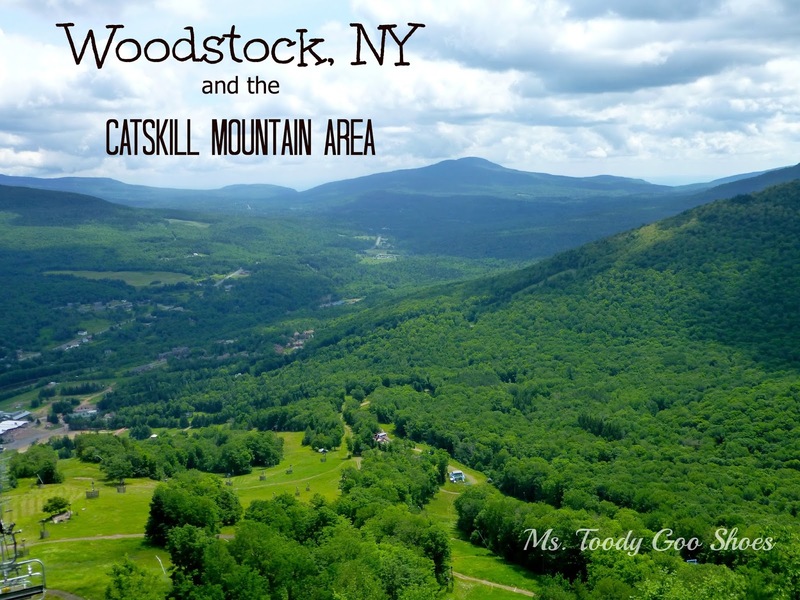 So why does Woodstock get all the credit? Many of the organizers had homes in Woodstock. The town of Woodstock wouldn't allow the concert to be held there, which is why the venue ended up so far away. 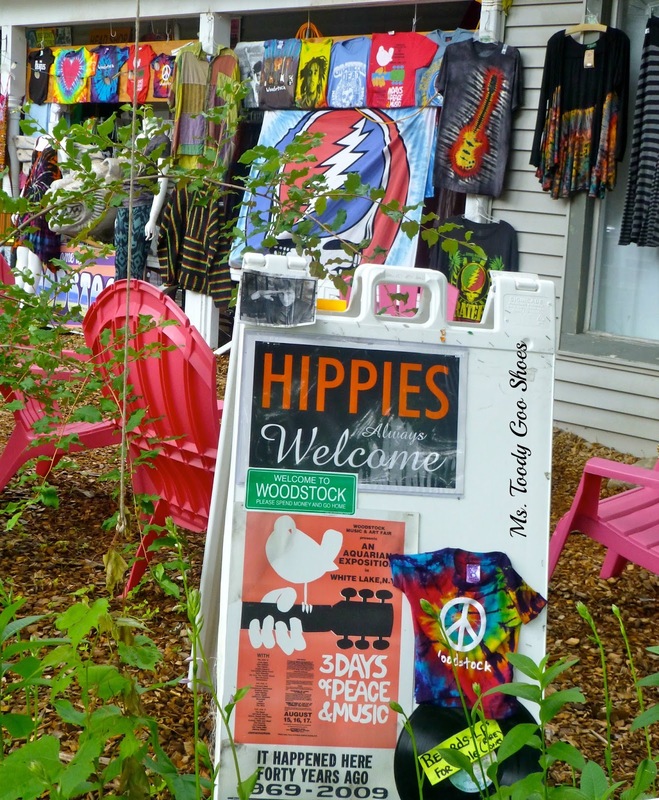 The little village of Woodstock is still a great place to get your inner hippie on. You can almost get a sense of what it was like back in the 60's. 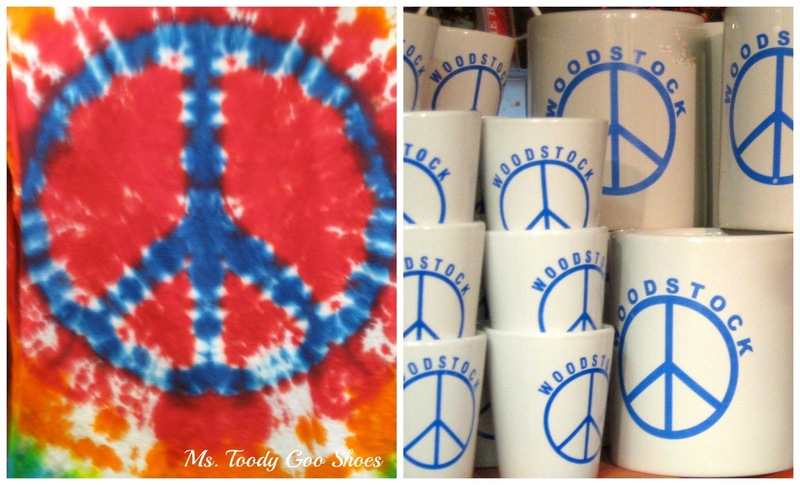 It's tempting to buy lots of tye-dyed t-shirts and souvenirs with peace signs, which seems kind of groovy in while you're in Woodstock, but when you wear them back home, you might look like you're in a time warp. Who cares? We bought them anyway. 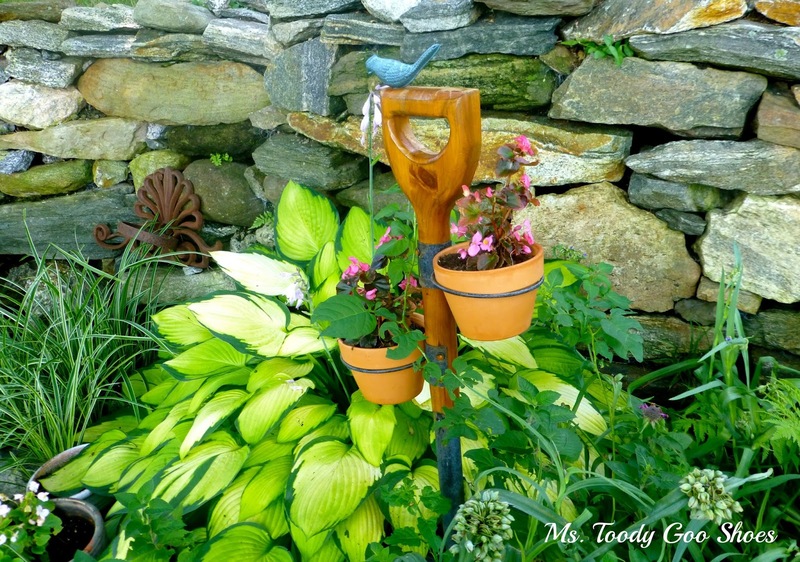 We also bought authentic Woodstock chimes, for the backyard. They make the most beautiful sound. Ours is called "Chimes of Mozart". You can listen to the different Woodstock chimes here. The town is quite small. It took us less then two hours to poke our heads into most of the shops. Hey, remember these guys? They hang out out this shop all the time. 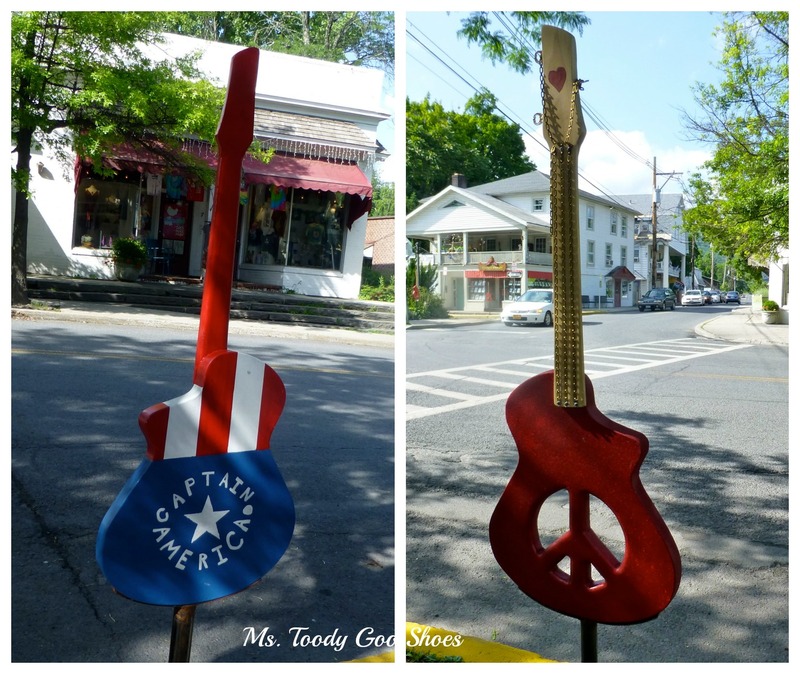 As a tribute to Woodstock's musical heritage, there are guitar sculptures all over Tinker Street, the main drag. 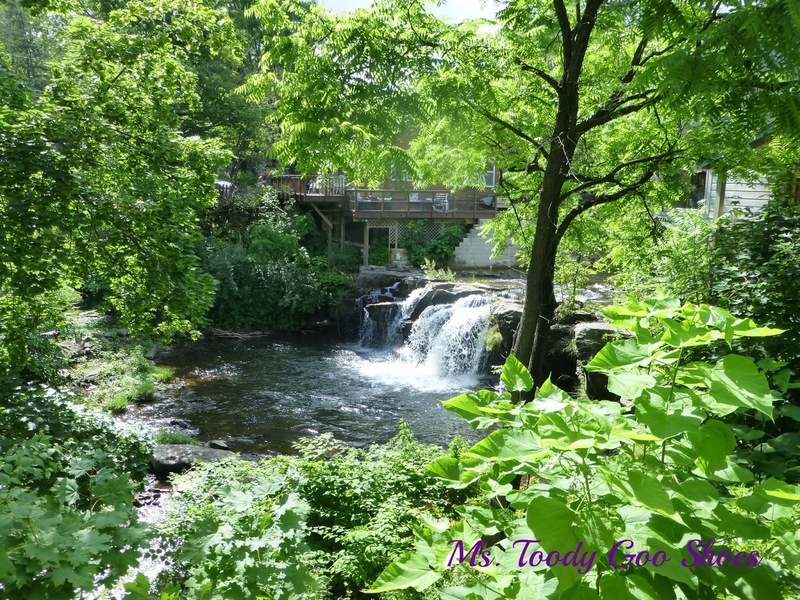 Just off the main street, is Woodstock Waterfall Park. 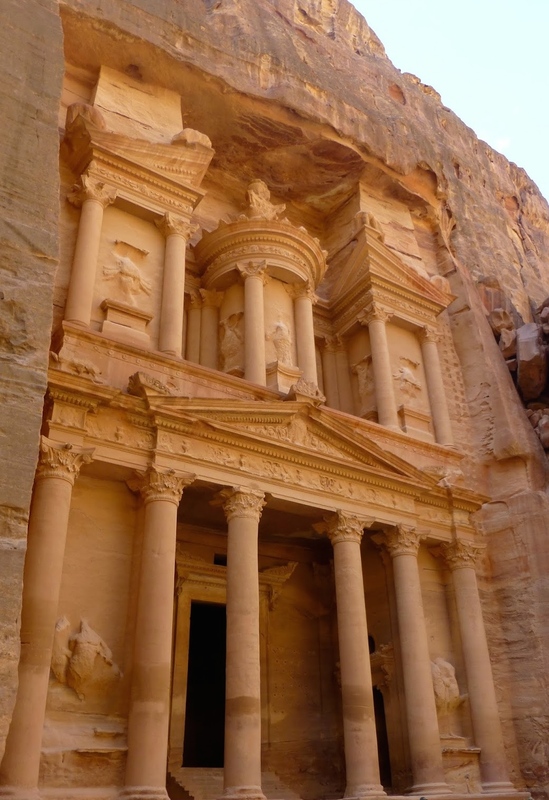 It was a nice surprise when we happened upon it right in the middle of town. 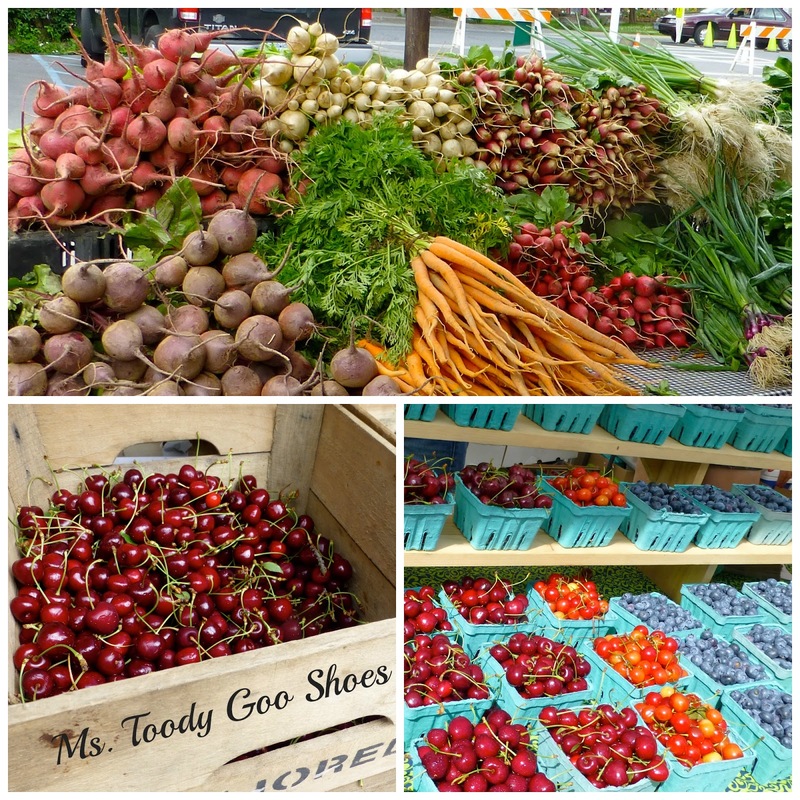 Every Wednesday afternoon, there is a Farmer's Market in town, with fresh produce and even some flea market finds. If we were heading home the next day, we would have loaded up on the awesome fruits and veggies. That's nice, we've seen enough…let's go eat. 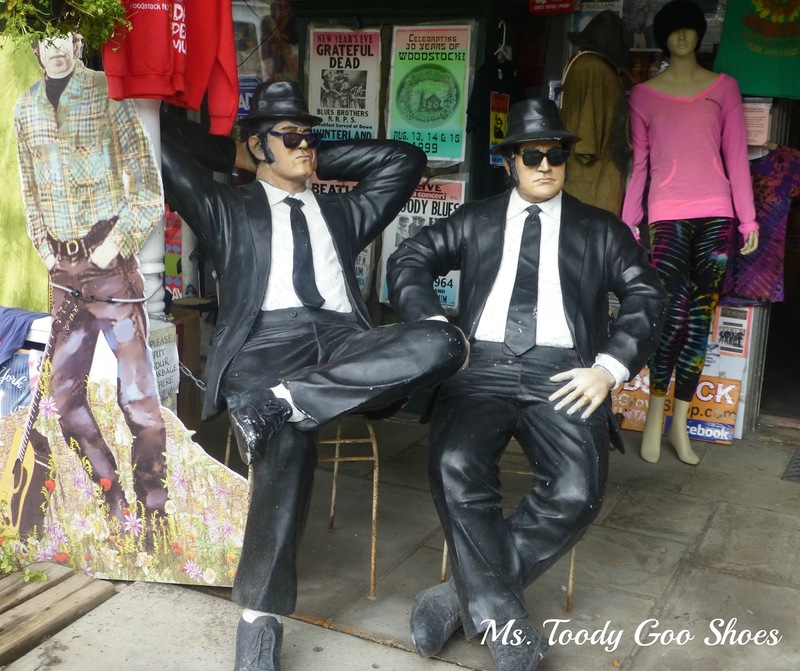 Lucky for us, the Woodstock area is a weekend destination to many New Yorkers (for those who aren't into the Hamptons scene), so we had our choice of many sophisticated restaurants. Our favorite was Cucina. Fantasic setting in a barn with excellent food and service. The Bear Cafe is touted as the very best in the area. It's is definitely worthy of that claim. We were lucky to have a table next to the stream when we went. New World Home Cooking was also outstanding. I had a cold melon soup that I am still dreaming about. The Red Onion is another popular place. We weren't as impressed as others seem to be. 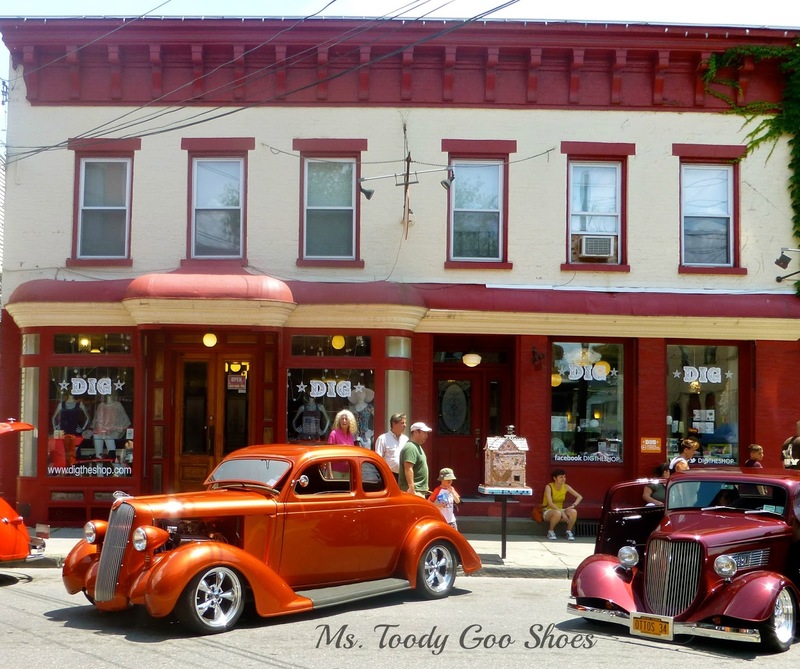 Only a few miles from Woodstock is Saugerties, which had an antique car show while we were there. Mr. Goo Shoes was in his glory checking out all of the old cars. The best coffee west of Europe can be found in Saugerties at Love Bites, a teeny place with just a few tables. 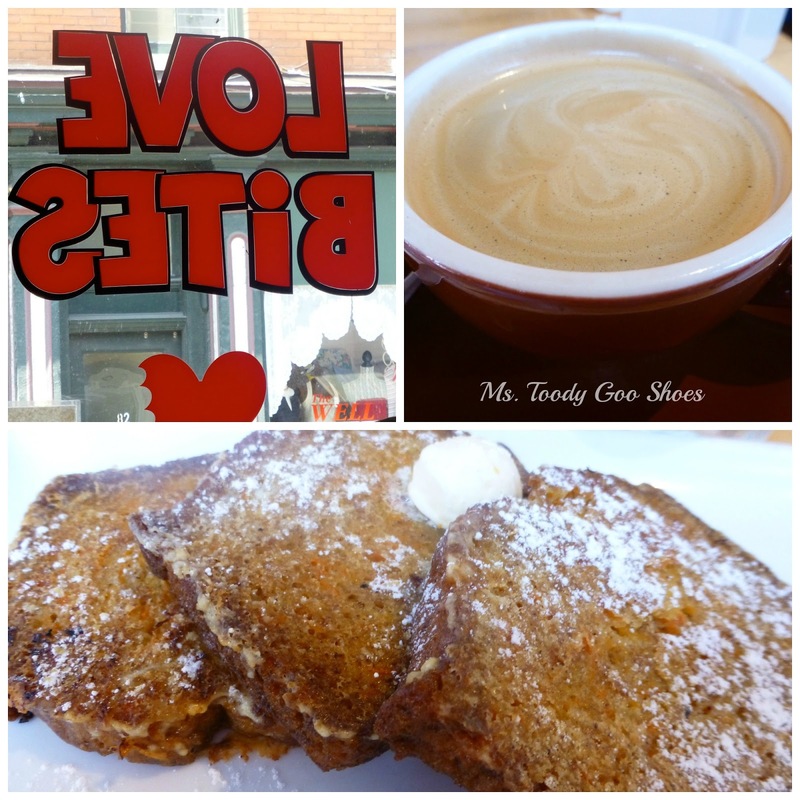 The carrot bread french toast was A-mazing! We had breakfast a few times at the Circle W in Palenville. 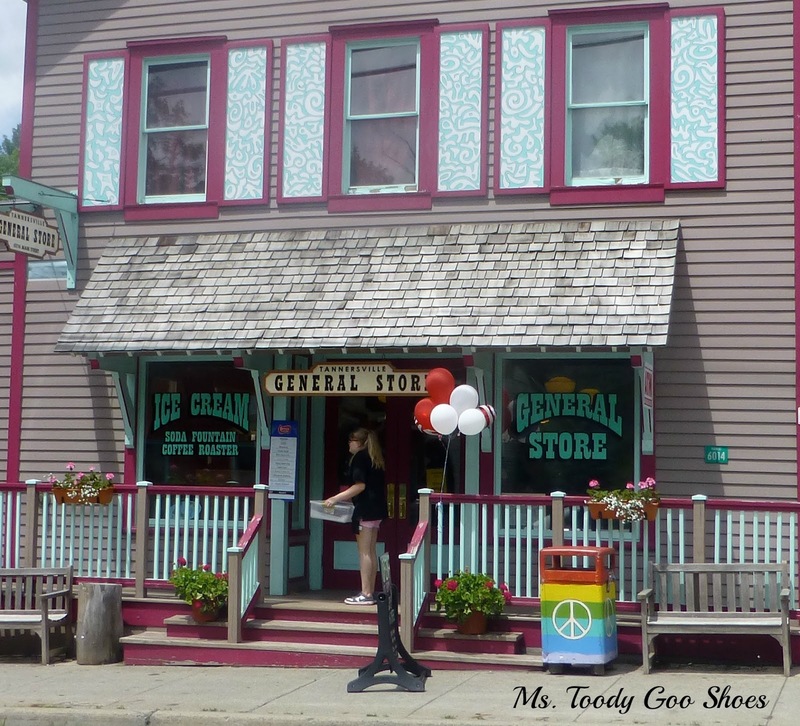 It's a little general store that serves breakfast and lunch. We felt like we were in Mayberry, just waiting for Aunt Bea to come out of the kitchen. I loved the feel of this place, and the baked goods were delish. 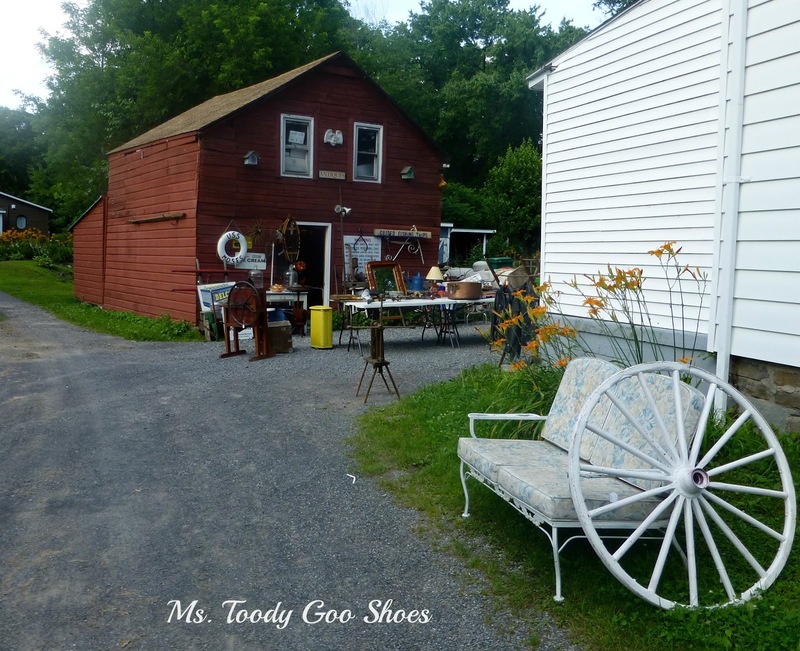 Tannersville was a cute little village that we road through on the way to Hunter Mountain. 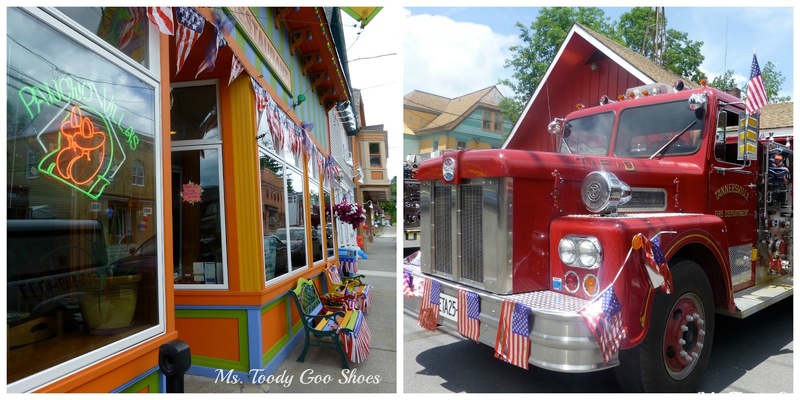 It was all decked out for July 4th celebrations. 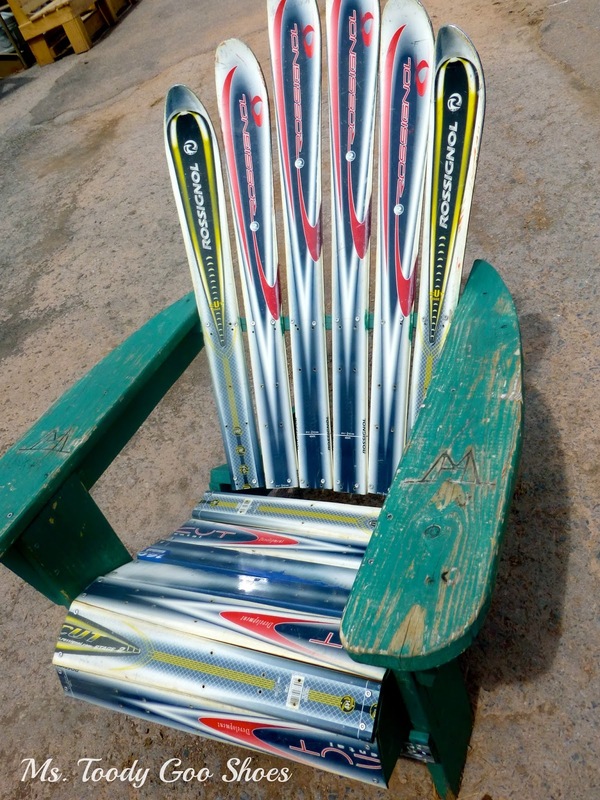 Hunter Mountain is a popular ski resort in winter. 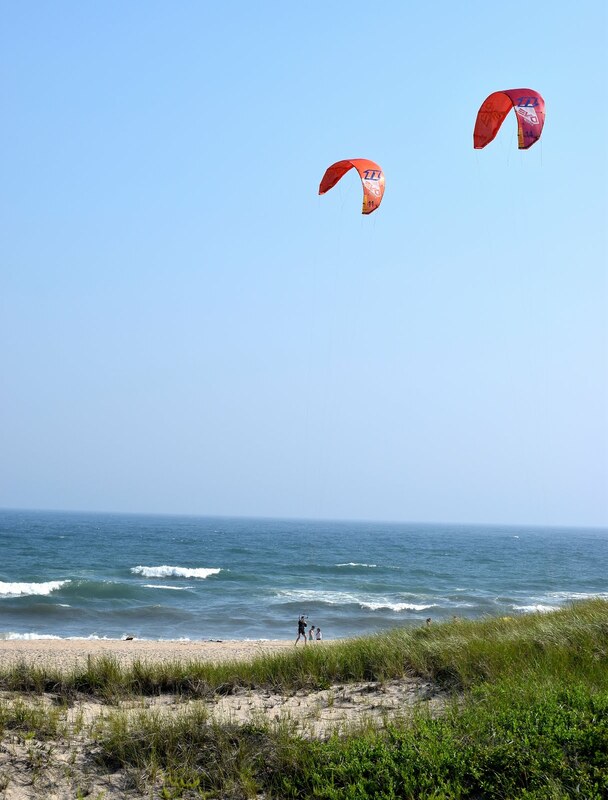 In summer, the big draw is the Skyrider. 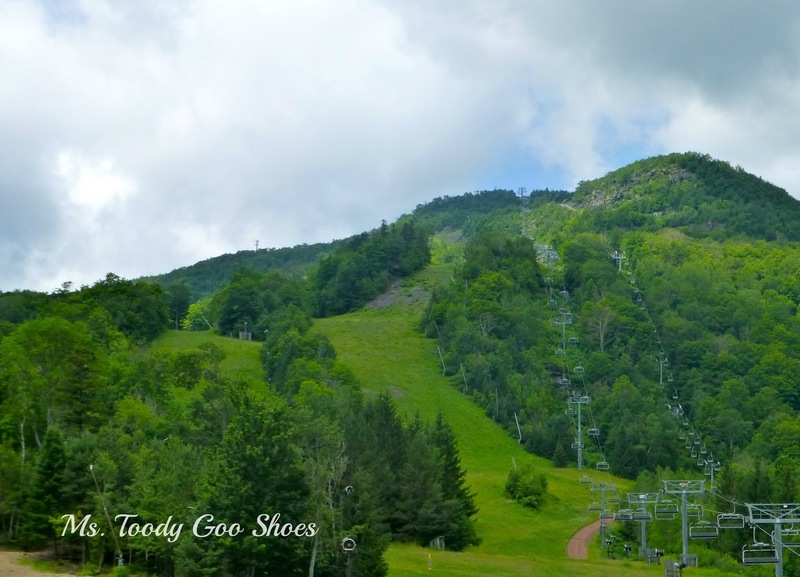 Riding the Skyrider 3200 feet to the summit of Hunter Mountain was the extent of our physical activity. Our white knuckles got a workout. 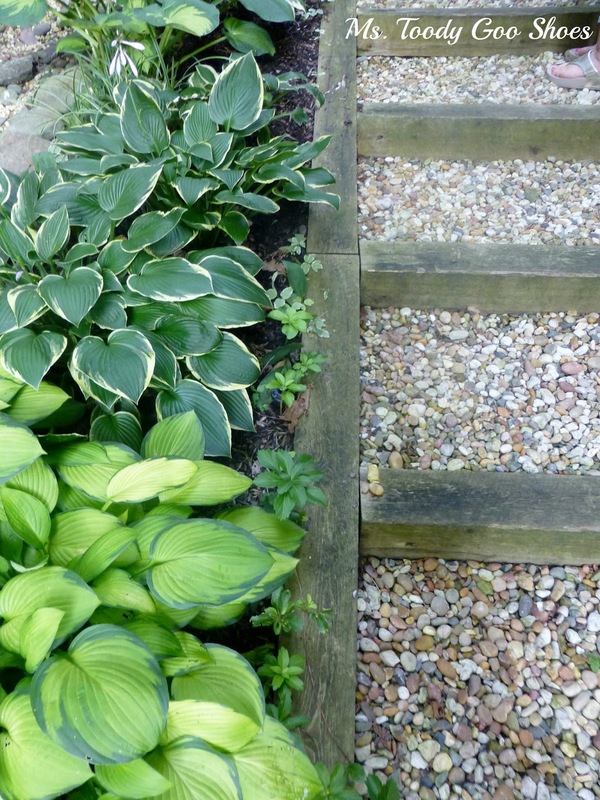 Somehow, it seems a lot steeper without the snow. 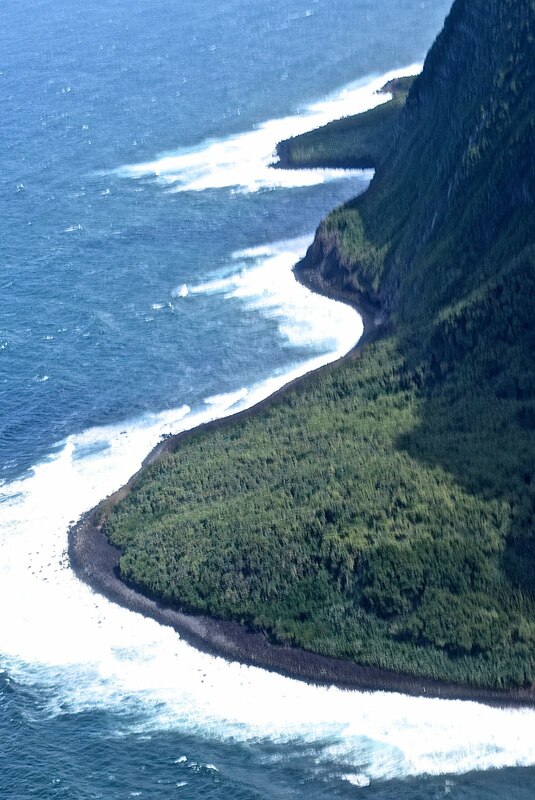 The payoff was the incredible view. 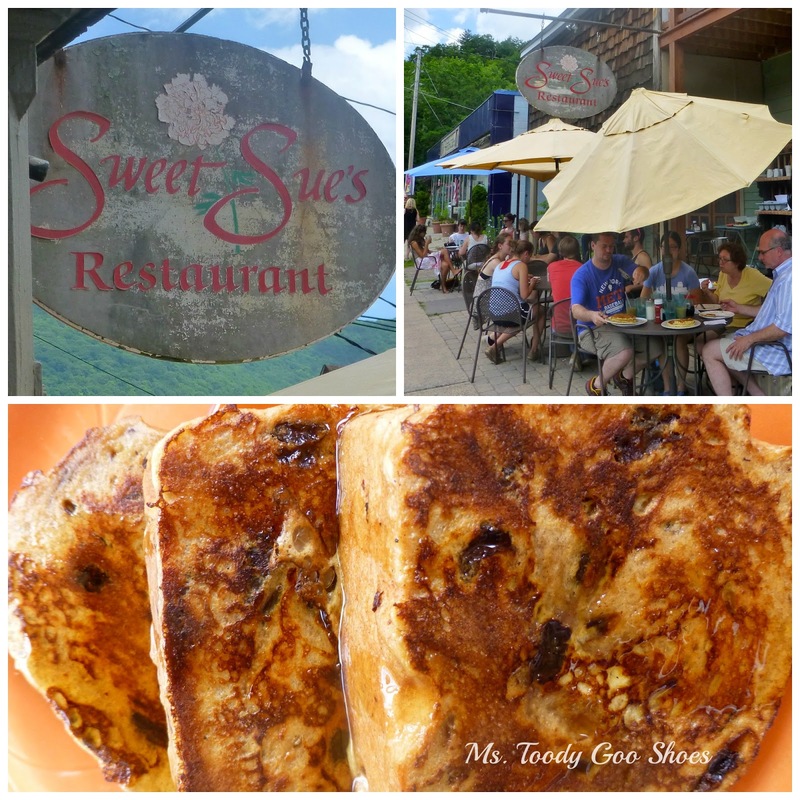 Everyone told us we had to drive to Sweet Sue's in Phoenecia, well-known in the Catskills for the best pancakes this side of the Hudson River. Did either Mr. Goo Shoes or I order pancakes? Uh, no. We both had the french toast. ...the boat that was taking us for a cruise down the Hudson River. We made it just in time. 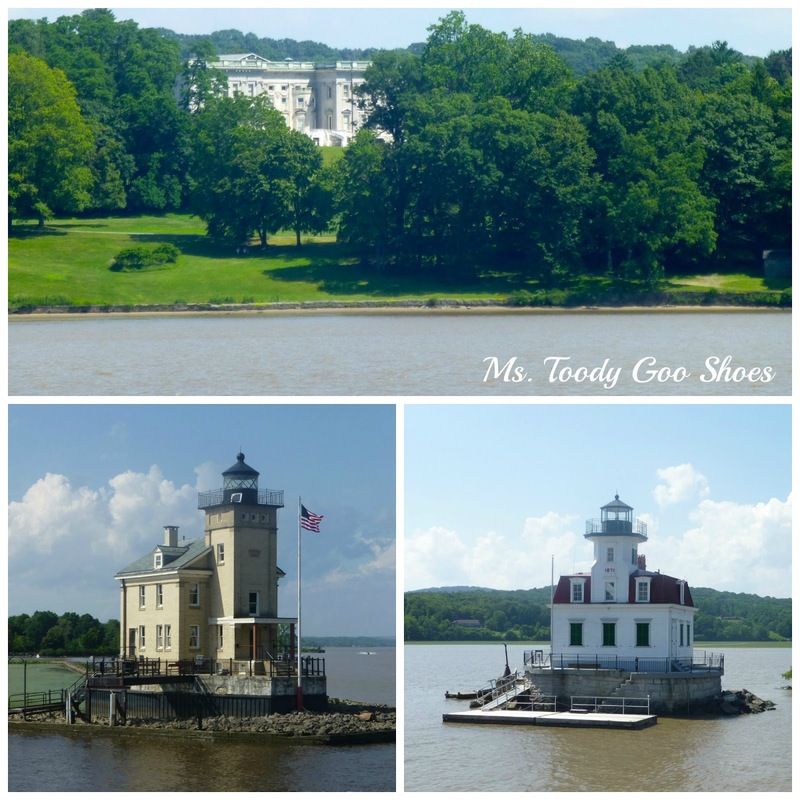 We saw some nice estates, like the Vanderbilt Mansion, from the the river...and some cute lighthouses. It was a nice day for a boat ride, but after one hour, I was ready to jump in the river and swim back. 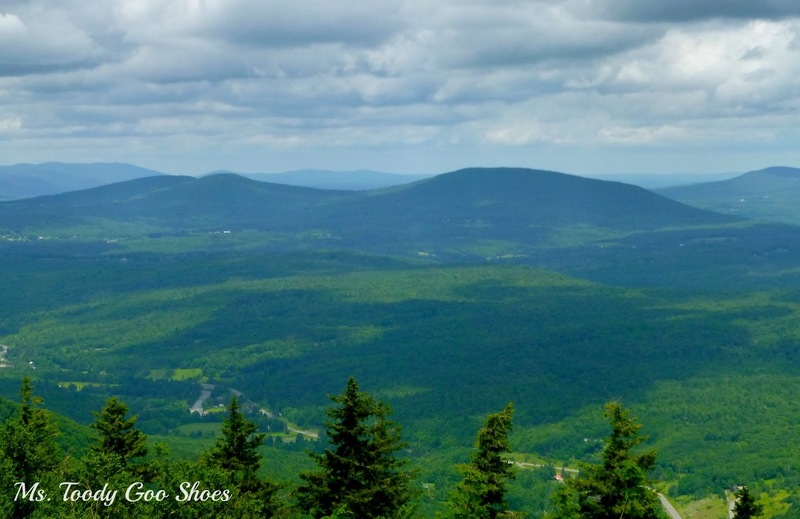 Spending a week in the Woodstock area of the Catskill Mountains was like stepping back in time. 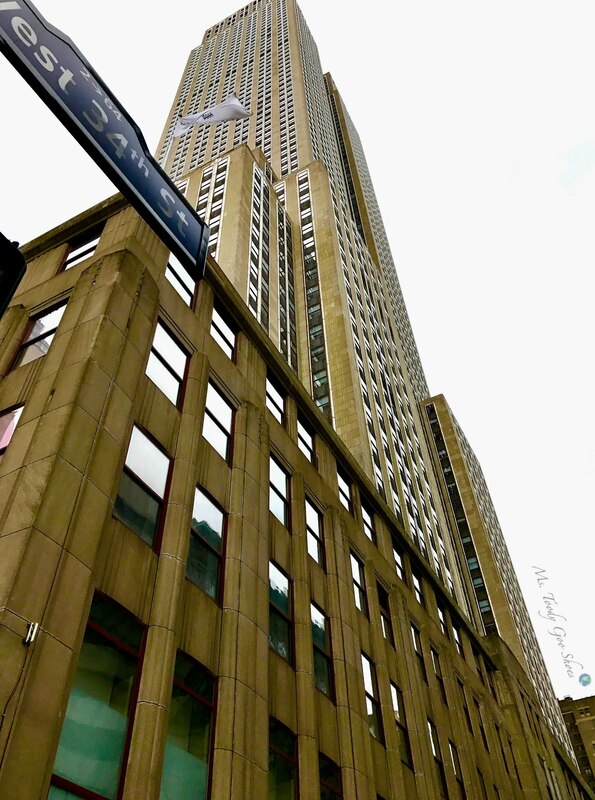 It was very different from our vacation in Montauk, but it was fun to experience something other than a beach vacation. We had a great time, and will probably do it again. This was definitely a summer for road trips. We just came back from another one (man, I love not working!) We went to two places we've never been before, and I'll tell you about that in a few weeks from now. 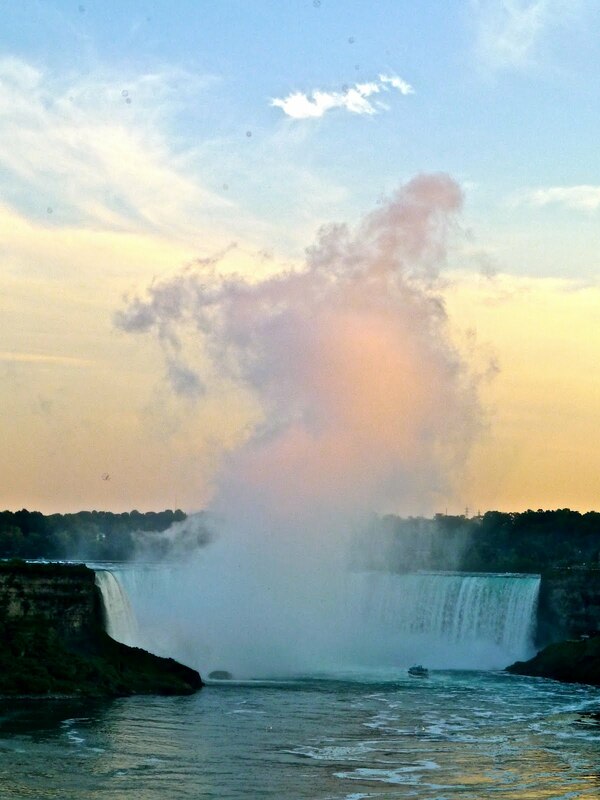 A body of water connects both places. One is south of the border; one is north of the border.